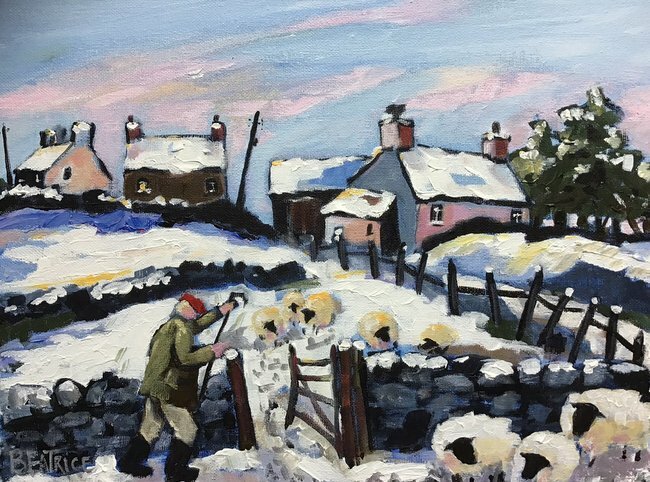 Artist and ex-teacher of pottery and art, resident of Ystradgynlais in the Swansea valley, can turn any corner and see a painting in it - and what she chooses to paint often illustrates a simpler way of life, people in homely surroundings doing ordinary things. Here are little farms in natural landscapes, communities of small houses bound together in terraces, miners returning home to their families. 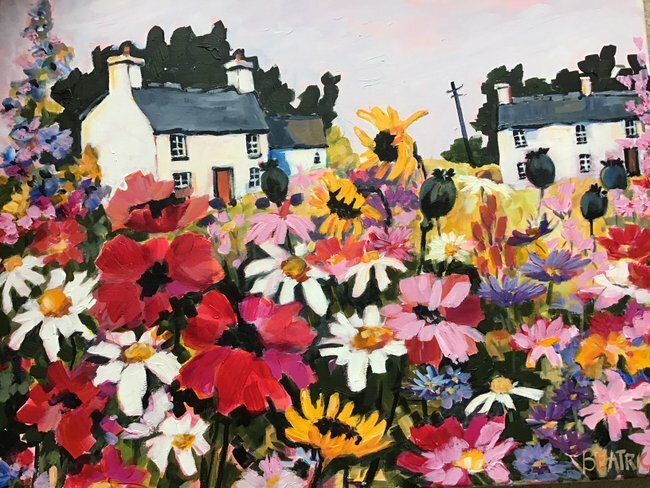 Throughout her work there is a strong flavour of Welshness, a huge sense of fun and enjoyment, and free, expressive painting. 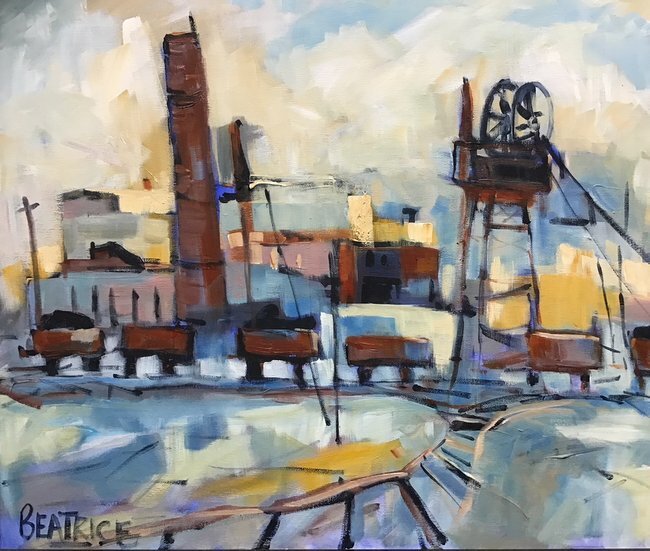 Her work has an immediate appeal - something seems familiar about it, but it is presented anew with a tender appreciation of the old days.